Research is creative and political. Research is like curating: you decide what to put in and what to leave out. What’s important and what’s not important. The presentation of research reveals the philosophy of the researcher as exhibitions reveal the politics of curators. Research is art as much as thinking is art. And art (like research) can uncover a labyrinth of information and you choose which rabbit hole you’re going to fall into. Or not. FBN: We had the special privilege and the honour to give hospitality to the Pope. In that workshop, eventually in ’86, His Holiness the Pope came to Australia and Seven Hills (Belgiorni-Nettis’ industrial site) was chosen as the place where the Pope could speak to 15,000 workers … we assembled the families in [the] great hall. We cleared all the machines, everything, so the workshop became a sort of great assembly house and we heard His Holiness speaking with a very human tone about the sanctity of work — that was a very good message that he gave to everybody and to our people. That means if you don’t work, he said, you are not entitled to eat. … So that was an amazing thing to have achieved to get the Pope … Very, very touching experience, that I had with the Holiness. He didn’t convert me. Still it was a great experience. So, how did you organise that, that must have been quite a coup to get the Pope? Well, I didn’t organise it, things happen. There was a need of assembling people where the Pope could talk and the first message I received [was] from my good friend, Gerry Gleeson, that was then the Secretary to the Premier [Neville Wran]. He suggested that it could be a good idea if we could give hospitality to the Pope in some way. There you are, things just fall from the sky. Do you think businesses get a lot of value out of being sponsors and supporters of the arts? Oh definitely, and taking an example of some Italian company that have been a promoter of art, more or less this kind of patronage, it was traditional of Italian signori in the Renaissance. 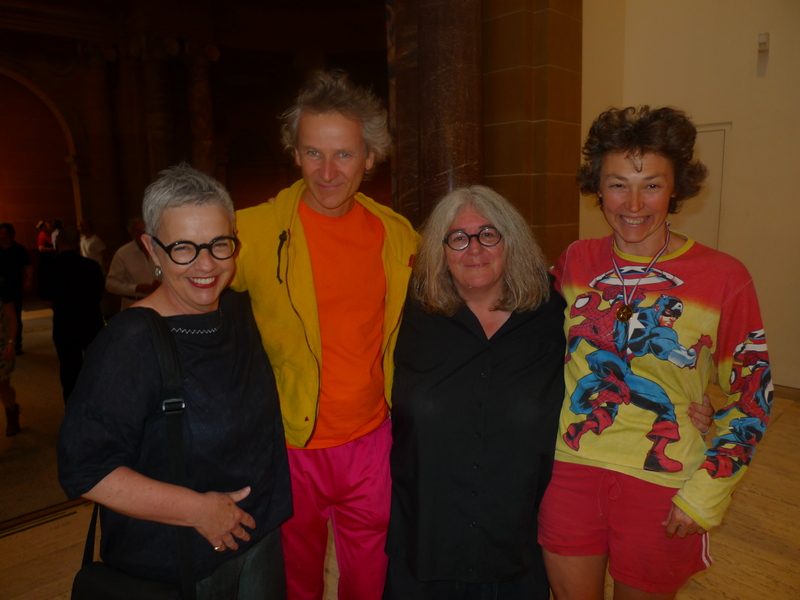 Now Australians are realising that is an important message, I mean, no doubt about that, the very well-recognised presence of Transfield is also given to the role played by the company in promoting art and assisting in many aspects visual arts in the country. 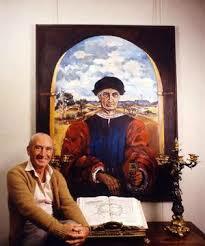 Franco, do you like to be described as a modern Medici? 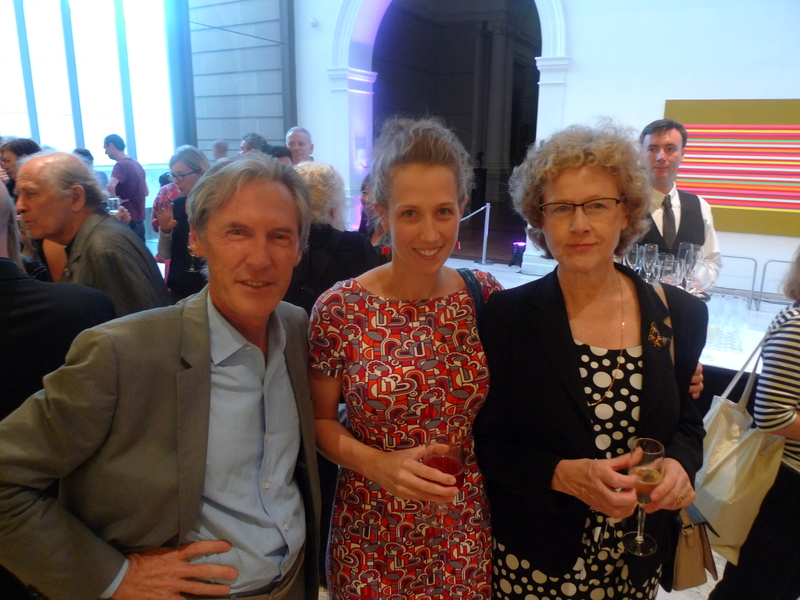 It is certainly tempting … [laughing] … I am fascinating … literally fascinated by the artists and the art world. The creativity that come from that part of mankind is an incredible element of inspiration and in reality if you see other aspects — it could be science, technology — the art, in a way, is more easily touchable, you could feel the vibrating in immediately, instinctively so, from that point of view, that aspect of creativity of humankind is absolutely fantastic. You have this great respect for discipline which comes from your military training and the way that you were brought up by your father, and yet you also have this great respect for the freedom of the spirit through creativity. Do you see any kind of tension between these two aspects of life that you admire? Definitely, there is opposite ends. I think that wherever there is too much regulation, too much restriction, too much guidance, you can’t imagine that creativity is possible to be allowed. So there is that kind of drama and I would say that the large creative spirit is … [above] all control. So it is a fact, it could be probably a mystery, a mystery of life. In reality, I don’t think that you could put the two things together — an artist must be totally free, sometime it must be rebellious, that’s art. 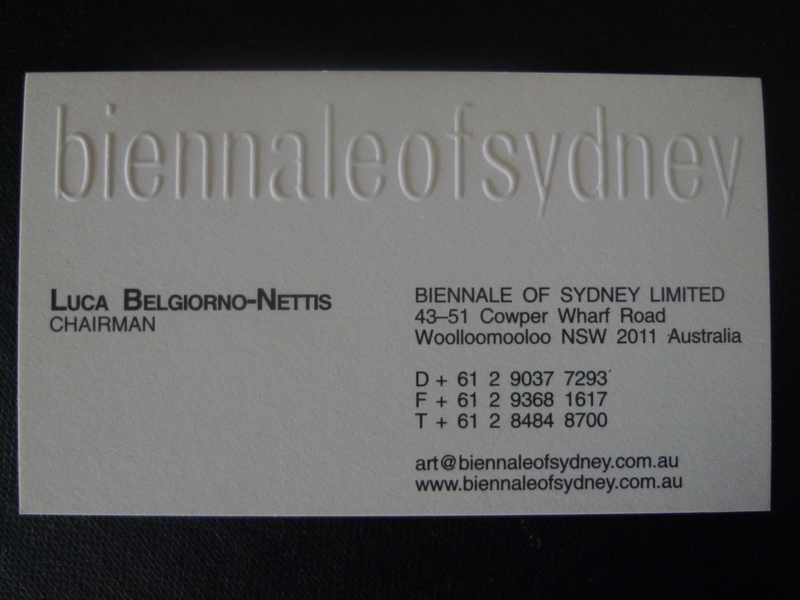 Franco Belgiorno-Nettis helped establish the Biennale of Sydney in 1973. 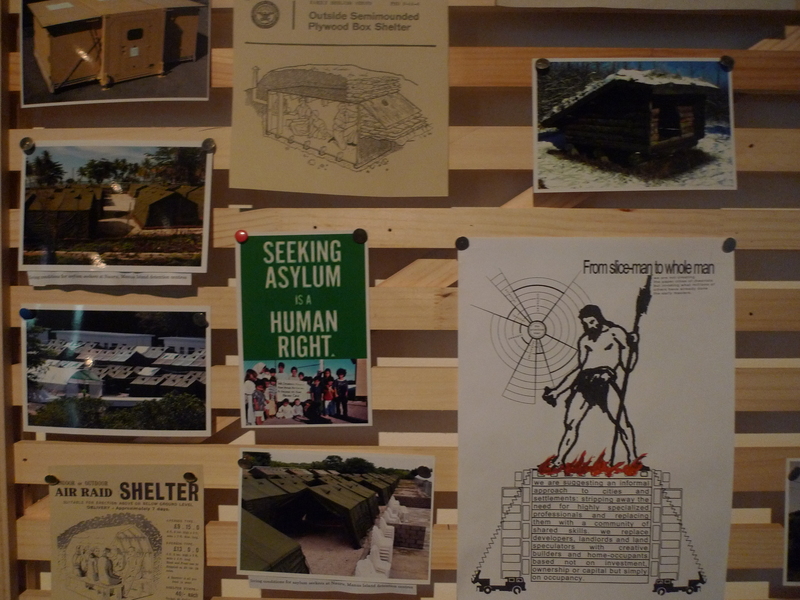 In 2014, nine artists threatened to boycott the 19th Sydney Biennale over sponsorship by Transfield Holdings, which owned a 12% stake in Transfield Services, a company that had recently begun to operate immigration detention centres on Nauru and Manus Island. 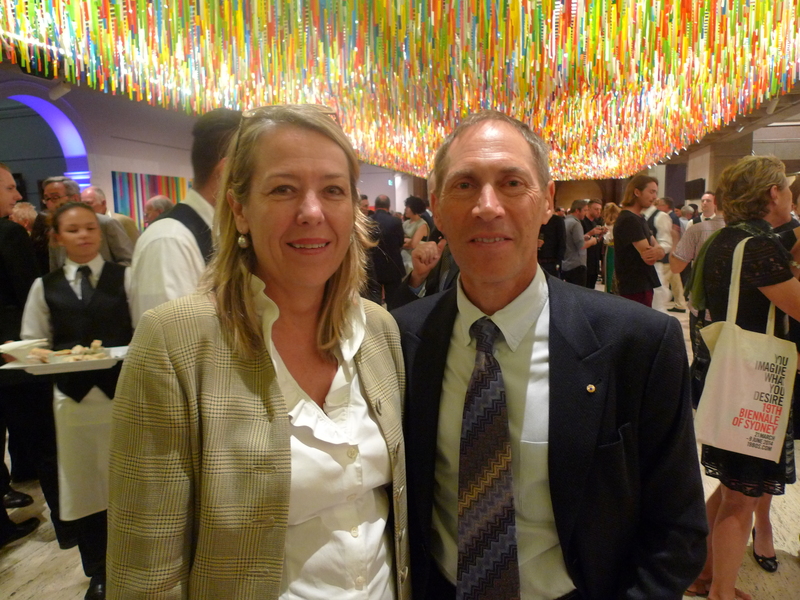 Transfield Holdings board members (and Franco’s sons) Luca and Guido Belgiorno-Nettis, ended the family’s 40-year support for the Biennale over protesters’ claims that the family was running “concentration camps”. Artist Gabrielle de Vietri withdrew from the biennale over the detention centre issue, and continues to work with Mums 4 Refugees, a community based advocacy group. Stuart: You had some ideas about Sydney. Carolyn Christov-Bakargiev: Okay, so that’s a switch to another subject. Stuart: Is it a switch to another subject? It’s not really, is it Richard? Richard: No, it’s the same thing. Transfield has contracts with the federal government to build properties for Aboriginal communities in the Northern Territory. There’s this thing called the intervention. Right? 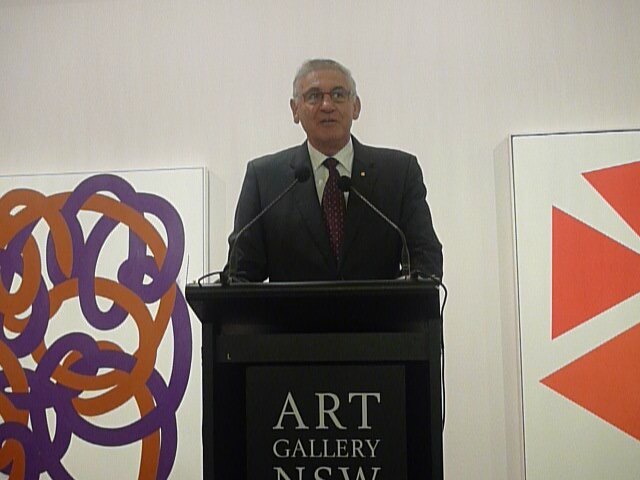 Richard: Nobody boycotted Transfield for participating in this racist project up in the Northern Territory. Carolyn: Okay, that is super interesting. Stuart: Come on, clothes off. Carolyn: I think I personally found that very interesting because this means the hierarchy of subalternity, the subaltern. So, you are saying that the illegal immigrants that are in the detention centres from outside of Australia are higher on the scale than the Indigenous people who are from this place and therefore, there was no boycott prior to this engagement, of Transfield. I have researched the ACCA website, and conclude that the ACCA program since Juliana Engberg’s appointment as Artistic Director in 2002 has been very inclusive of female artists. Destiny Deacon was curated into New ’05, by guest curator Max Delaney. Destiny comes from the Torres Strait Islands. 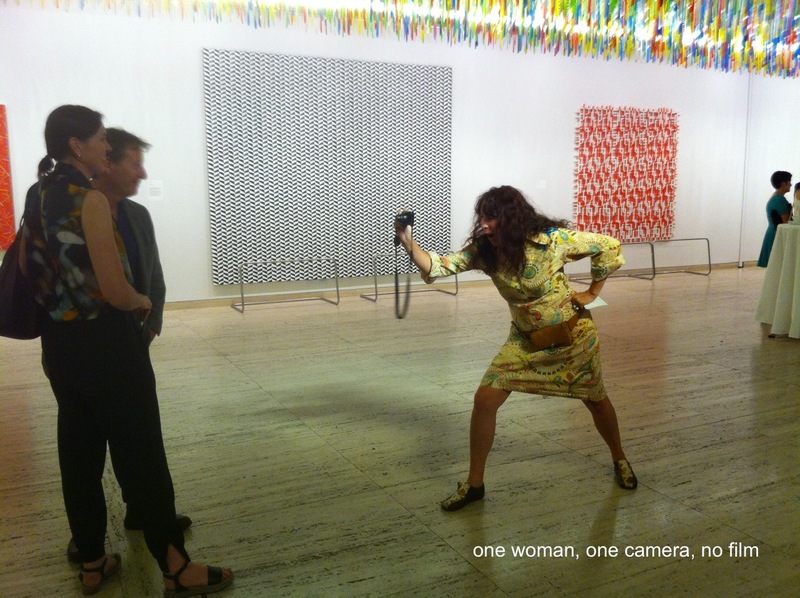 High profile Aboriginal artist, Tracey Moffat was also included in a group show, Cinema Paradiso (2007). The art of Australia’s prolific indigenous artists has been almost entirely overlooked within this period (2002-2015). Norman Day, The Age, 16 September 2002. The ACCA building gets a big wrap, but we need to address the politics of inclusion and exclusion within Australian culture, and at ACCA, a key organisation with ‘Australian‘ in its title. One of the many roles of an artist is to stimulate thought and action. 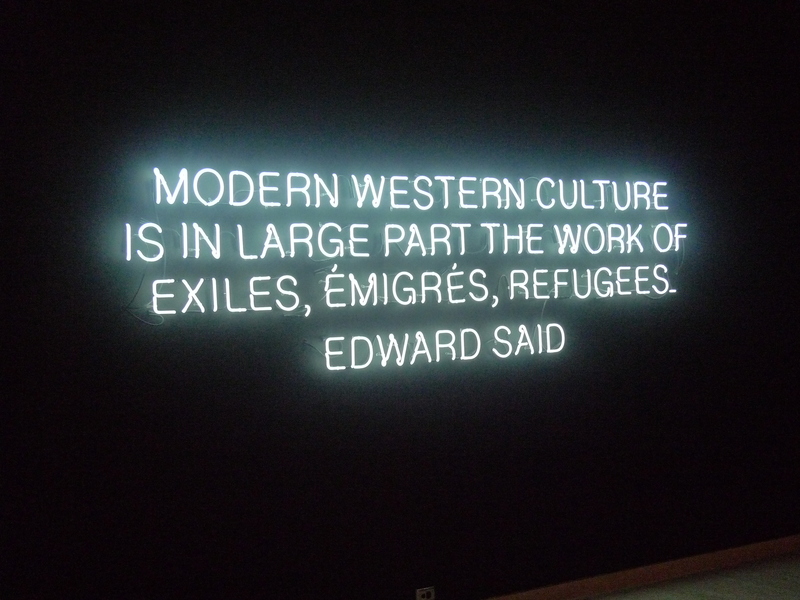 Which is why Richard Bell is among the most significant activist/arts practitioners working in Australia today. There’s much for us to think of and act upon here. 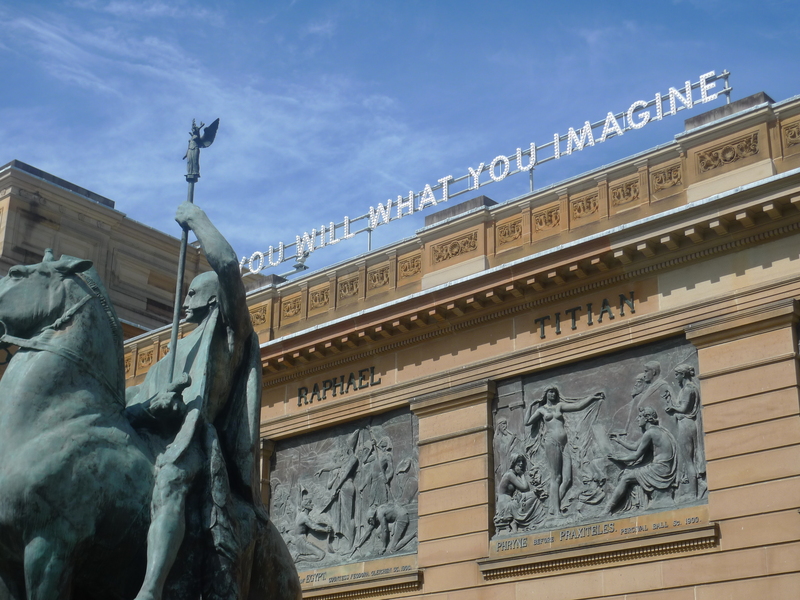 Arts funding issues are just part of the politics presently playing out within government arts institutions around Australia.